We offer a wide range of Wooden Furniture to our esteemed clients. These comprise bedroom furniture, office furniture, wardrobe, wooden cots, designed wooden door, nested tables and wooden ladders, designed wooden chairs, center tables, wooden chairs and sofas, office tables and cabins and chairs. Our range is well received in the different market sectors. The Wooden King Size Cot that emerges from our design unit is sought after for their sturdy construction, fine finish and smooth surface. The unique design of the bed makes this an ideal wedding gift for the groom and bride. Further, these are durable and ensure that generations can enjoy the comfort of this unique piece. We offer this at most affordable price. We offer Wooden Queen Size Cot that matches the quality of the wooden king size cot. Made from most valuable wood that we source from trusted vendors, this range is appreciated for eye-catching design and glossy surface that stand the test of time. We offer to customize the range at most affordable prices. Our range is resistant to decay and is termite proof. 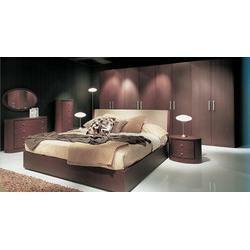 We offer Bedroom Furniture that is appreciated for style and comfort. Our range of bedroom furniture carries the signature of quality and creativity. Comprising bed cupboards, side tables and corner cabinets, our range of bedroom furniture offers total solution for home needs. Fabricated from pre-laminated boards, plywood, rubber wood, and medium-density fiberboard, the range is appreciated for durability, style and comfort. Owing to the immense experience and a competent team of experts, we are able to offer Solid Wooden Furniture to respectable clients. These solid wooden furnitures offered by us are made utilizing high grade raw material, which is sourced from trustworthy vendors of the market. In addition to this, the offered range of solid wooden furnitures is known for rendering an elegant appearance to home or hotel bedrooms. Keeping in sync with time, we are able to offer Burma Cot to our respectable clients. The offered range of Burma cots is made using high grade raw material and innovative techniques in strict compliance with the international quality norms and standards. Moreover, the offered range of Burma cots is checked on different characteristics so as to ensure that flawless products are delivered at customers' premises.